The mighty Rinjani mountain is a massive volcano which towers over the island of Lombok. 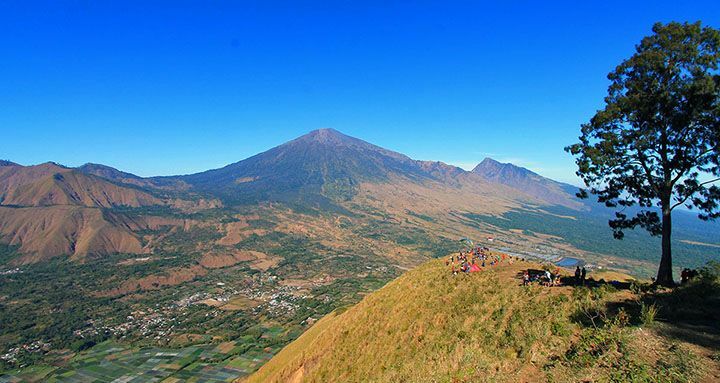 A climb to the top is one of the most exhilarating experiences you can have in Indonesia. At 3,726 meters tall, Mount Rinjani is the second highest mountain in Indonesia. The climb to the top may not be easy but it’s worth it, and is widely regarded as one of the best views in the country. Within the mountain is a crescent shaped lake, the breathtaking Segara Anak which is about 6km across at its widest point. This lake of sulfur is located 600 meters below the crater rim. Rising from the waters of this lake is a new volcano, Mt. Baru, which is a result of a series of eruptions during the 1990’s. Segara Anak is a spiritual place. The Balinese come here each year and perform a ceremony called Pekelam where jewelry is placed in the lake as an offering to the mountain spirit. The WetuTelu people also regard the lake as holy and come here to pray on full moon nights. 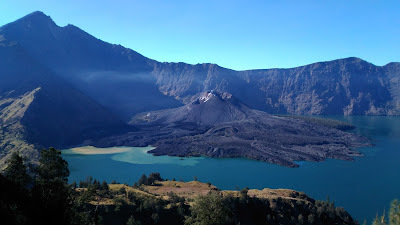 Mt Rinjani lies within the GunungRinjani National Park. The park covers 41,330 hectares and sits inside a major bio-geographical transition zone (Wallace). 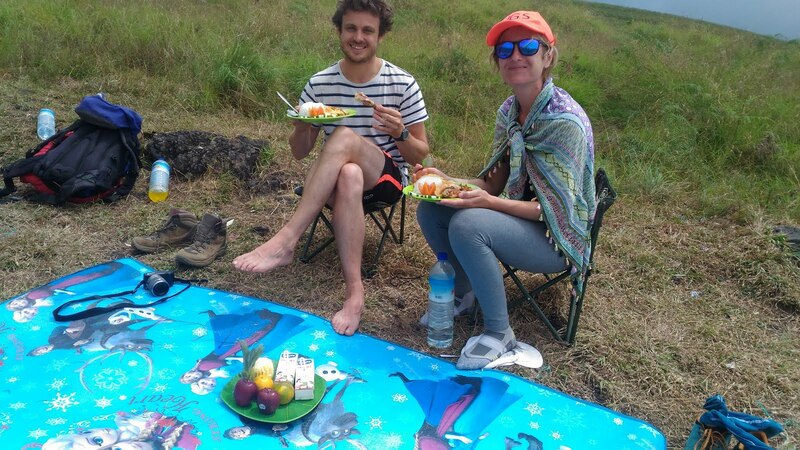 This is where the tropical flora and fauna of South East Asia meets that of Australasia. This National Park was established in 1997 and is one of over 40 throughout Indonesia. 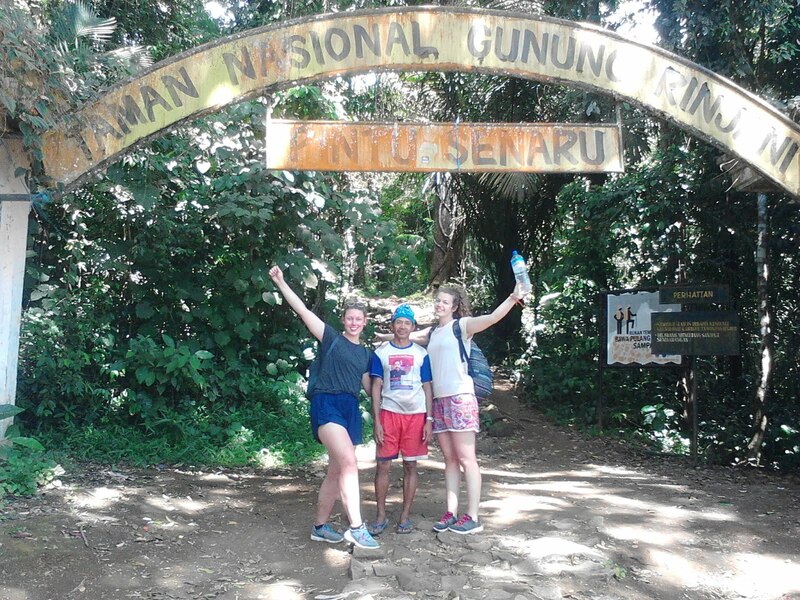 Revenue from tourism activities and entry fees is used for conservation, management and assisting the National Park with maintenance of the Rinjani Trek, thus ensuring its sustainability. This management model is unique in Indonesia and considered an example of best practice of eco-tourism in Indonesia.